All posts here can be found through both the Disability Arts Online Website and my own website. 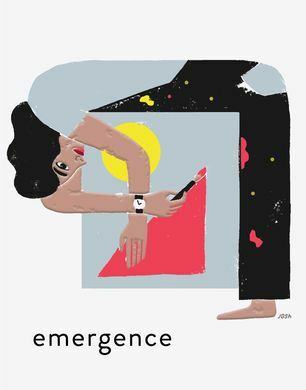 Emergence is a 12 month programme launched by Shape Arts, Disability Arts Online (DAO) and a-n The Artists Information Company aiming to support the practice of four emerging artists, with a practice rooted in the visual arts, who face disabling barriers. The programme is intended to tackle the isolation, low confidence and marginalisation of emerging disabled artists, as well the lack of accessible opportunities in mainstream arts settings. 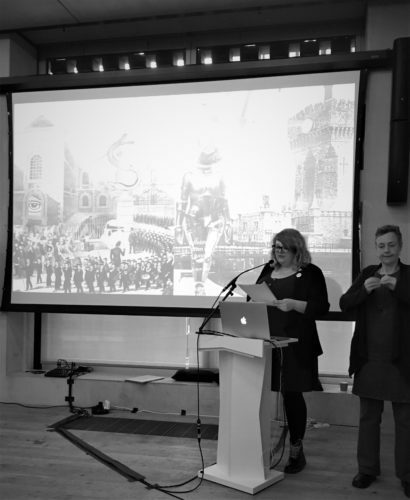 Tomorrow it will be four weeks since I delivered a presentation on my practice at the Tate Modern as part of Shape Arts’ Flux/Us: Be part of the art event at the Tate Exchange. Usually, I would write something almost immediately after a big experience like that but I’m challenging myself to allow some space and reflection in between now. Three weeks though. Wow, it’s totally flown by. What has led to your taking on the identity of a socially-engaged interdisciplinary visual artist? It’s quite a loaded identity to have, isn’t it? I’ll do my best to break that down a bit! I’m your typical idealist; a dreamy type who believes things should and can be better than what they are. But, I am also a grafter (and pretty tenacious). I see my role as a socially engaged artist is to present and pragmatically motivate the people to think of creative ways to make change for themselves. I have only just started on my journey into a socially-engaged practice but I recognise and value the importance of art and creativity in making change in local and wider spread communities. I’m a strong believer that everyone can develop a good relationship with art and that art has the ability to inspire individuals and move social consciousnesses. Throughout 2019, I’m fortunate enough to be part of the UNION; Arts & Activism programme, which brings 20+ artist-activists together to reflect on their practice in using art and activism for positive change – I’m looking forward to seeing how my ideas and practice develop within the coming year. This isn’t to say that I don’t work with communities already. I do this through the projects I produce, such as The Critical Fish, and through my NHS day-job, where I advocate the arts and share skills for mental well-being using my own lived experience. I’m a bit of a multipotentialitie and a lot of my interests overlap or combine or inform one another. In what ways do your interests overlap? As you can see from the featured image, my practice, as a whole, sits together in a rhizomatic fashion. A rhizome is like an underground network of botanical roots, a net, a web of interconnecting points that has no real beginning, or end. My practice feels a hell of a lot like that, where the intellectual, sensual and material sit in relation to the concepts, subjects, media and contexts I explore throughout. As well as the bits I’ve already mentioned, I have an academic interest in the mental health/arts dynamic, am environmentally conscious, I run a freelance arts business, I meditate etc… and these different disciplines very often impact, inform or support one another. The art-making side of my practice sits almost separate from the socially engaged stuff, I suppose. Well, at least in this moment in time. Making is one of the most important elements of my life and I value the time I spend doing it. Art is something that drives the rest of my practice, be that conceptually or in the practical doing of things or materiality or whatever – my practice is very much rooted in experimentation and making. For a while now my attention has been turned to the fragility of the mind. How does mental health relate to your practice? I’ve often been asked how my mental health relates to my art but it’s a tension that I sometimes struggle to articulate. As a ‘mentally ill artist’ (a label I detest because I don’t feel as if my disability defines me, artist or otherwise), there is sometimes the assumption that I make art cathartically, as therapy, as a means to express trauma or difficult emotion. Well, I don’t. Although I recognise that art has been useful in managing my thoughts over the years, my art has very little to do with expressing myself or otherwise in relation my own mental health difficulties. 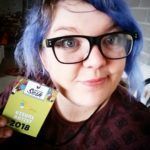 I think it’s more of the objective view I have on my experience of mental health itself and objectively understanding how I manage nowadays that I find interesting; I have a long history of poor mental health; depression, anxiety, unhelpful behaviours/responses, suicide attempts – you name it, I’ve probably got some lived experience with it. Although I now manage my mental health a lot better these days, I still fall into a period of depression at least once or twice a year, but that’s fine, it’s who I am. What I find curious is that I understand that when I’m not doing great, I lose touch with reality – I’ve seen this in some of the people I have worked with over the years too. Experience and perception is subjective, and reality can be altered, and I find that whole concept fascinating. And therein lies the relationship between the two on a personal level for me, I think. That critical, investigative eye that I possess after the fact. I’m a bit of an amateur philosopher and it challenges me intellectually, mentally and to an extent emotionally to explore these threads by drawing in the expanded field. And that’s my practice in a nutshell, I think – I think about thinking. Could you explain some of the philosophical concepts behind your work? Brace yourselves, I’m about to take you down a rabbit hole!! I find myself thinking about the things I notice day to day, in myself, in others… I have thought a lot about the processes behind thinking, observation, conceptual knowledge and how we respond to those things both as individuals and collectively. I’m curious about the subjective, and by combining both intuitive and analytical methods of observation I really try to get a sense of what it is for me to ‘know’ about something, so I can attempt to answer the questions I find myself wondering. The notion of experience combines both physical and mental processes, and that the reality of the object is transformed BECAUSE of the context we give it. To ‘know’ something is to make it more real. Therefore, if I can first get to ‘know’ a concept, I can better interrogate it – I try to get a sense of what it is to ‘know’ about something and what it is that makes me interpret what I believe to experience. What does your philosophical art-making practice seek to understand? The types of questions I explore very much depend on what I happen to be focusing on at the time. And how I decide to interrogate the question depends very much on what the questions are about. My graduating work focused on the concepts of reality and perception, so I therefore chose to concentrate on raisins – yes raisins – as the subject of my investigations. Why raisins, I hear you ask? There’s a well-known meditation/mindfulness practice that involves experiencing and consuming a raisin over a prolonged period of time. It just made sense to me to focus on raisins when thinking about experience. So for that reason alone I ended up drawing raisins for 18 months. And it’s these connections that mean a lot to me in my practice. A highly complex rhizome of memories, opinions, sense data and values come together to shape your understanding of the world. Everything you process, and everything you ‘know’, sits in relation to everything else. I observe and try to understand my subject in as many ways as possible… I engage all my senses and experiment with a number of drawing techniques and methods to try and communicate the way of ‘knowing’ that I attempt to isolate in that drawing, whether that’s a sense of smell, or taste, or memory, or whatever. There is also a term called ‘Gestalt’, which resonates quite strongly with my way of working. It is the belief that an organised whole is given more value than the sum of its parts. I fragment, distort and layer observational drawings to bring attention to the multifarious and subjective nature of reality. By then layering them back up, therefore, it gives a more accurate representation of what something actually is than what our brain allows us to perceive. Can you explain what ‘expanded-drawing practice’ is, and how it relates to the concerns of your artistic output? I feel we can move towards understanding, and more importantly challenging, our interpretations of the world through the act of drawing. Drawing, for me, felt like a very natural process to develop when thinking about thinking… there’s something about its likeness to thought, since the very act of drawing can react at the speed of thought… I think drawing possesses an expressive fluidity to it that doesn’t seem present in many other processes. Drawing for me is a way of problem-solving, experimenting, developing and gaining insight into not only the thing I draw, but into my own thought processes and ideas. I feel the act of drawing is the closest we can move to pure thought and is therefore a powerful means of translating the experiential understanding that I’m so interested in. Although much of my work begins with traditional methods of drawing, of line on paper, materiality and an experimental approach to processes tend to direct my work. As much as I enjoy traditional drawing, and processes such as drypoint printing, I often find myself using unconventional materials, exploratory processes and reflective techniques. Ending up moving beyond two dimensional planes and into sculpture, into video, into sound… I find alternative ways of drawing, not because I’m trying to be ‘different’ or anything, but simply because I find it more interesting, and I’m excited by the idea that it can also open up more opportunity for audience interaction. I soon discovered that my practice seems to sit within the Expanded Field of Drawing. I find it compliments my way of working – other artists in the field, such as Leger and Boozer seem to approach drawing in the way that I do – conceptual and of thought, but rooted in experimentation and making. Drawing in the Expanded Field attempts to see drawing stretched beyond what is commonly considered drawing in the traditional sense. It’s a hard one to explain!! What stage is your ACE/ Hull City Arts funded project Critical Fish at? My co-producer, Jill Howitt, and I are only in the pilot stage at the minute, but The Critical Fish is a community-facing and regionally available publication that’s centred on Hull. It was born from a lack of critical debate during and after our City of Culture year and from a personal belief that everybody has the ability to think critically on their experiences and relationships with art. At time of writing, we’re in the finalising stages of producing Issue One, but we have ambitions of doing a more inclusive and creative programme of direct engagement with existing and new audiences to develop critical and research-based but fully accessible discussions surrounding art and visual culture. We put the bid in around September 2018 after working on it throughout the summer; the bid was approved the week of Halloween and since then, we’ve been relentlessly working on getting this project off the ground with our brilliant steering group and talented designer Joseph Cox, towards producing the first issue, due May 2019. We sent out an open call to writers and artists to submit works for publication, and we commissioned writers Lauren Velvick and Kenn Taylor, and artist-designers Josh Williams and Lydia Caprani to contribute. More recently, we’ve been working with our brilliant editors (Jay Drinkall, Michael Barnes-Wynters and Barnaby Haran) over the last few months too. Although Jill and I are getting it up off the ground, I really believe in the collaborative power of shared ownership and the cooperative production of a strengthened community that we can all benefit from so my own personal vision for Fish is that it becomes less and less managed by Jill and I and more in the hands of the communities it wishes to serve. Since day one, we’ve done what we can to ensure that The Critical Fish is co-designed, co-produced and co-delivered as collaboratively as possible using the resources available and within the framework that we’ve built together. The role of Fish is to facilitate the ideas and voices that already exist out there by holding a shared space in which people can have conversations. In this way, I’m hoping that artist-led Fish will grow in a way that moves towards a more culturally democratic model, involving more and more communities and becomes very much done BY the people, FOR the people. Can you tell us a bit about the project eg where the name came from and who your partners are? The name ‘The Critical Fish’ was inspired by Hull’s fishing heritage. For me, it feels like Hull’s fishing industry has been replaced by the industry of culture, especially in the wake of our 2017 UK City of Culture celebrations; so I quite like that play on concepts, and words. The name doesn’t take itself seriously and opens up a world of possibility in regards to visual/literary puns (e.g. ‘Fish n’ Crits’). Jill is a super-fan of Gordon Young’s ‘Fish Pavement’ (1992), a public art trail which encourages people to explore lesser known parts of the city centre; Hull’s fishing heritage is combined with playful language and visual cues (e.g. a shark motif outside of the bank) to creatively engage the public – which The Critical Fish is also aiming to do through critical conversations. And if I’m just being honest, I like how the word ‘Fish’ sounds when it’s said outloud!! We have no ‘official’ partners at this moment in time, but we’ve been working closely with Hey Form, Humber Street Gallery, Artlink, Double Negative, Venture Arts, G F Smith, YVAN and a number of local artists, writers and editors, to name but a few. We have recently had the opportunity through The Double Negative of writing an article in response to the Liverpool Biennials ‘Place to Place’ exhibition at Humber Street Gallery, which was pretty great too! It’s been an absolute rollercoaster and we’ve not even published anything yet!! I’m looking forward to seeing how the project develops (funding pending) and getting stuck into the doing fun and creative things with the public in the pursuit of critical conversation, which is where I feel more passionate. Like many folks, art has been the one thing throughout my life that has remained a constant and is something I enjoy in and of itself. I wanted to be an artist as a kid, but my mental health has thrown a few curve balls my way, meaning I had an intermittent art school experience and had no self-belief about ever ‘making it’ and was turned away from places and yahdeyahdeyah… and for a long time, I had no direction and pushed art to the side. I had experience in delivering meaningful activity in residential and psychiatric inpatient settings (after trying the 9 -5 daily grind for a few years) and it’s an interest in Art Therapy that saw me go back to Uni and finish off my Degree. Through advocating the arts to service users who were in similar positions that I could relate to, I reminded myself how much I loved making. I ended up organising a public art exhibition to showcase the talents of the people I met on the wards, and through that I convinced the Trust to fund me to do an Art Therapy Foundation Course in Sheffield. Both recognising that I’d probably be dead myself without art being in my life and after this inspiring and motivating course, I felt I had found my calling – but I had to complete a BA in order to do my MA in Art Psychotherapy. However, this posed a huge dilemma – I would have to return to education after a 4 year hiatus, lose a permanent, pension-paying job that I love, take a huge cut in pay, risk going somewhere terrible, and rack up more student debt… just so I could qualify at least five years down the line, in something with next to no jobs. But, for the first time in ages, I had direction and purpose. So against my better judgement I just went and applied to HSAD to do a part-time Top-Up in Fine Art. My dissertation, unsurprisingly, focused on the relationships between the visual arts and meaningful mental health recovery. I rigorously researched into the definitions of mental health, artists who have used art for personal or societal benefit, and the ways in which art has been used for therapeutic gains both in and outside of the clinical arena as maker and spectator. Can you tell us a bit about how your research into the relationships between the visual arts and mental health informs your practice? Ironically, my research totally turned me away from pursuing Art Psychotherapy as a career. Yes, there was no denying the benefits of art on mental and emotional wellbeing – I mean, the research had only validated my own beliefs and experiences – but I strongly felt that there’s more to be said on art for art’s sake, art as a means of individual and collective transformational change, outside of clinical environments and instead in communal, everyday settings. On further reflection and research, I also found myself more and more critical of traditional psychiatry, the frame work in which it’s built and the narratives surrounding art and mental health. Realising that I didn’t need to be an art psychotherapist to make change was liberating… I just needed to be an artist. This area of critical interrogation has had an indirect, but powerful influence on my current practice. This questioning of subjective experience and its relationship to the status quo and other associated contexts live in the realms of both psychology and philosophy, the latter of which has always been a strong interest. My research area has shaped my understanding of things and in a way, motivates me to challenge the way people view mental health and the arts (as separate things and in tandem with one another). There’s this tension between the experiential acknowledgment of the value and benefit of the arts in emotional wellbeing (therefore the output is irrelevant) and the pursuit of skilled, high-quality art that ought to be challenged and critiqued. Combined with the stubborn belief that everyone can make art, consume and critique it. My practice walks between these thin boundaries by inciting and developing critical conversations and philosophical debate around what is, what could be and what should be.